The big gay world of publishing...well not really - actually if you went into most of the big chain stores the LGBT section is very small, if it exists at all. Then there are the independent gay bookstores, which may be hard to find or there is only one 40 minutes away. Its hard to find good LGBT fiction, and even harder to find it filed under main stream categories, such as mystery fiction, or romance. Actually this brings to mind the question of why instead of having a separate LGBT section don't they just have a section in the romance isle marked LGBT or in the mystery section? Why does it have to be a separate section all to itself usually stuffed in some corner? So few book bloggers seem to include or even read LGBT fiction so I thought I might inspire some reading by posting this. Heidi, great site. 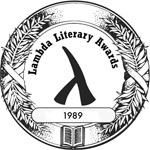 Nominees for the 2010 Lambda awards won't be decided and announced until later this spring, traditionally in late March. The books listed on the site now are the titles publishers have submitted for consideration. In the meantime, your readers might consider this list of 80 authors naming their favorite LGBT books of the year. I wonder if it really matters. I won last year, top prize in Bisexual Fiction for my novel Holy Communion, and barely a whisper has been heard. Thanks for clearing that up Stephen...I thought they were the nominees...either way its a list worth looking at. Mykola that was my whole point in posting this list....I think that we need to get these book out there. Which was kinda the point of my rant in that I wish that instead of sectioning out the LGBT section they would just include them in with the regular Mysteries, Non-Fiction etc.. they can have a category in those sections if they choose but at least put them with the other books in that genre...I think LGBT fiction would get a wider audience that way. I forwarded this post to Richard Labonte who has some connection with Lambda Literary. They're constantly looking for readers. Maybe you'll hear from him.